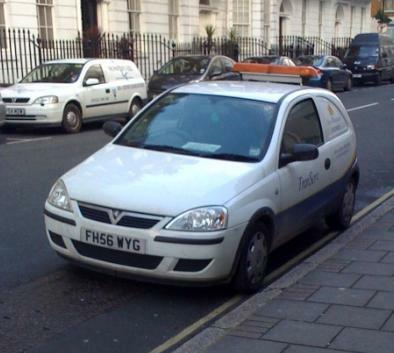 A car owned by Westminster City Council was today parked at lunch time on a single yellow line in W1, although parking in this manner is not permitted before 6.30pm (until Tory Councillor Danny Chalkley decides to implement his ludicrous proposals to extend parking restrictions until midnight). 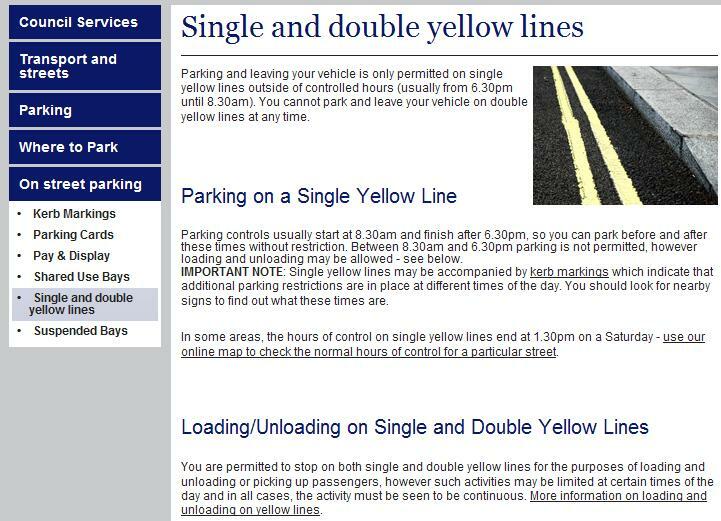 But if you’re a Westminster member of staff and feel important and arrogant enough to stand above the official parking rules, then why not give yourself the right to park on a single yellow line, before 6.30pm on a week day. The car was locked and its driver was away. 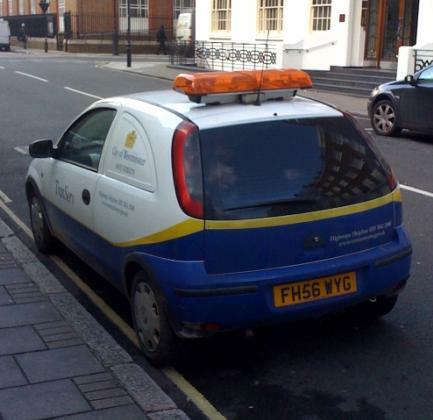 As one would expect, the vehicle had not been issued with a PCN and no CEO had left a note on it to say that parking on a single yellow line was not permitted at this time of the day. While Westminster Council staff don’t mind breaking the parking rules imposed by their own employer, they also don’t mind working for Tory councillors who offer themselves the benefit of free parking all over Westminster, while they take a great pleasure in charging car drivers a fortune to park and leave them in distress when the crappy Verrus (now called “paybyphone“, supposingly to escape from the recent bad publicity?) doesn’t work, which happens much more often than one can possibly think. Oh, and how could we forget the poor motorcyclists, who also have to cope with the crappy Verrus pay by phone system in the pouring rain and freezing temperatures. All this lot are forced to comply with the parking rules and taxes imposed on them by Westminster staff and councillors, who allow themselves to break them as and when they so wish. This is what Councillor Danny Chalkley describes as a “firm, fair and excellent” parking policy. Remember, one set of parking rules for the Council and another for the public is “fair, firm and excellent”. This happens all the time, one rule for them and another law for the rest of us. Free parking for whoever collaborates with Westminster Council is nothing new, some councillors even have free parking all over the borough because they are worth it and we are not ! Firm, fair and excellent? Parking controls are to ensure free flowing traffic? More two faced lies from this scum riddled council.